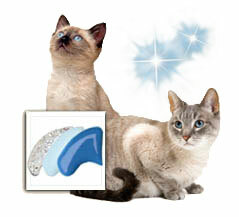 A dreamy starlit night; the Starlight Combo looks stunning on feline feet that are sleeping or dancing the night away. 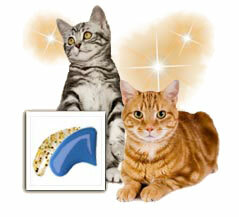 The Starbright Combo brings visions of fabulous kitty parties, and fashionable runways. 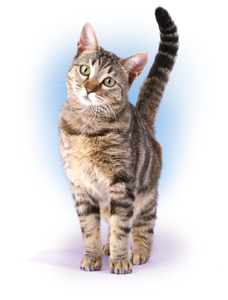 Let your cat strut some stuff with these beautiful colors. 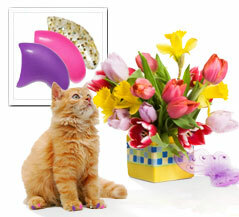 Put a little spring in your kitty's step with our exclusive Spring Combo. 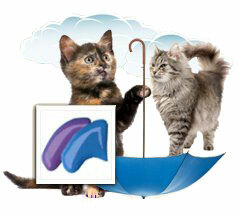 April showers may bring May flowers, but you and your cat don't have to wait to enjoy the lovely colors of Spring when you use the April Showers Combo. 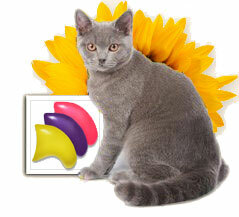 Bask in the vibrant colors of spring when your cat prances around in our exclusive tulip combo. 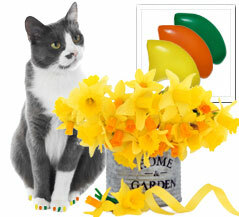 Your cat will look purrdy in our vibrant daffodil ensemble this spring.